Free Spirit Publishing, 9781575424255, 22pp. Every day, in every way, babies eat. From bottles and breasts, trays and bowls. With fingers and with spoons. Join these babies as they explore and enjoy the many foods that help them grow healthy and strong. Hungry baby, food’s so yummy. Look at how it fills your tummy. Bouncy rhythms, appealing black-and-white photos of babies, and bright illustrations are sure to spark baby’s interest. What can baby do today? Move . . . and reach, play, eat, cuddle, and rest. The books in the Happy Healthy Baby series include appealing black-and-white photographs of babies and whimsical full-color illustrations that capture the moments and moods of baby’s day. Little ones will love the photos of baby faces, and the rhythm and rhyme will hold baby’s attention. Giggle, wiggle, head to toe. Tap and clap and rock and roll! Busy babies grow healthy and strong as they move about, discovering the many things they can do! As the books are shared with them, babies absorb concepts of love, safety, and confidence. At times lively, at times gentle, these sturdy-format baby board books reflect what every parent wants: a happy, healthy baby. Includes tips for parents and care providers. A perfect gift for baby showers, newborns, and birthdays. 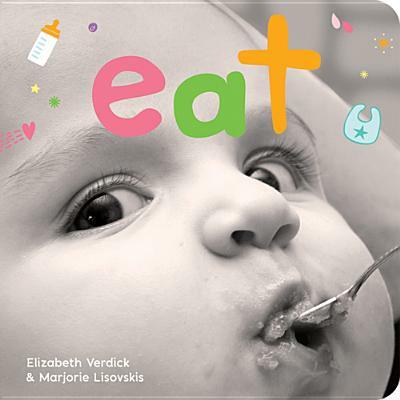 Elizabeth Verdick is the author of more than 40 highly acclaimed books for children and teenagers, including books in the Toddler Tools board book series, the Best Behavior series for young children, and the Laugh & Learn™ series for preteens, including How to Take the Grrrr Out of Anger (with Marjorie Lisovskis). Her most recent titles include Calm-Down Time, The Survival Guide for Kids with Autism Spectrum Disorders (with Elizabeth Reeve, M.D. ), and Bystander Power (with Phyllis Kaufman Goodstein). Elizabeth lives with her husband, daughter, son, and five pets near St. Paul, Minnesota. Marjorie Lisovskis is the editorial director at Free Spirit Publishing and the coauthor of How to Take the Grrrr Out of Anger (with Elizabeth Verdick). She has been writing and editing books and activities for children for more than 30 years. Marjorie has two grown children and three grandchildren. She lives with her husband in Minneapolis.